Everyone knows the problem of previous installations leaving behind loads of data rubbish on your computer and you may know how hard it can be to remove this data. 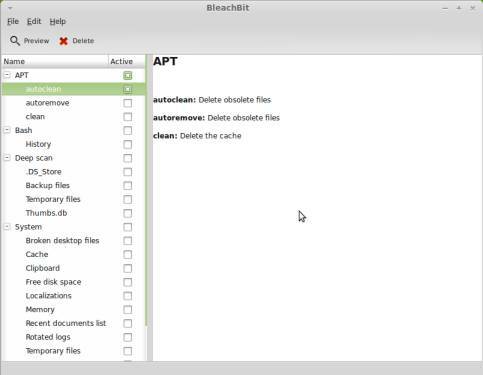 With bleachbit however you can easily check the data you want to remove and the program does the rest. You can run it either as normal user or as root, to be sure you really remove every unnecessary file on your harddisk. It is available in the standart Ubuntu repositories.